By Brian Voo in Artwork. Updated on May 8, 2018 . 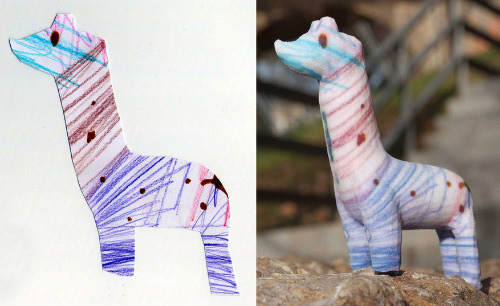 If you can print in 2D, can you print in 3D? Well, the technology is already here. You can print out 3-dimensional objects based on a working template, and they aren’t just for show. They actually work! Manufacturers can provide you with a template where you can print a broken part of a machinery, let’s say, a screw, rather than order then wait for a replacement to come in. Alternatively, you can make a model replica of an expensive car, like a 1960 Aston Martin DB5 in a 1:3 scale then crash and burn it for entertainment, like how the makers of the James Bond flick, Skyfall did. 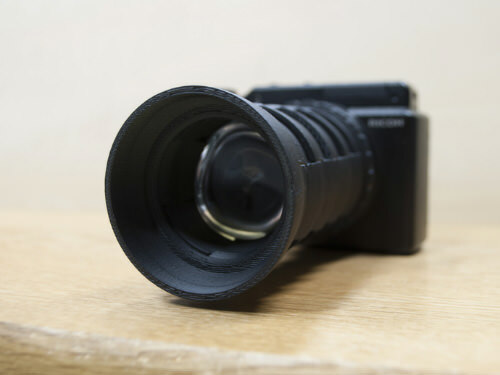 3D printing is made possible by fusing layers upon layers of materials made from durable plastics and metals based on a template, designed with a 3D Computer Aided Design (CAD) software. Each layer is about 0.1 mm thick and consist of liquid, powder and sheet materials. 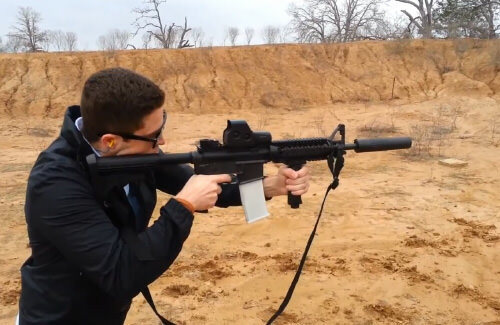 Here’s a video of one of their creations firing at semi-auto and full-auto modes. 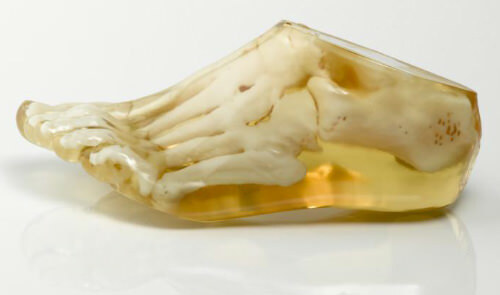 "3D scans" of your unborn child is taking on a whole new meaning. Instead of a picture of your ultrasound, a Japanese company is now giving you a ‘Shape of an Angel’, a 3D print of your foetus for $1275. 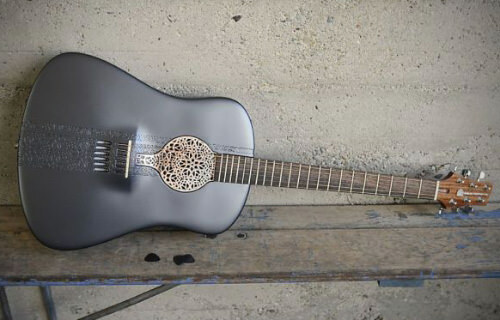 The 3D model is created by 3D processed image data with BioTexture. 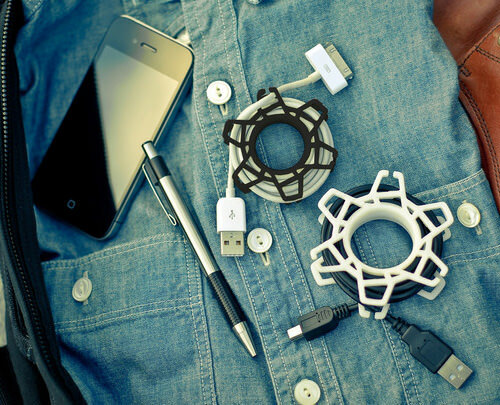 If you like to bring your gear around with you and want it to be organized neatly, then you could buy this 3D printed Gear Wraps that can save you the hassle and time of untangling your many cables. It can be printed in a wide variety of different colors and ranges from a price of 10 to 20 Euros depending on the color you choose. 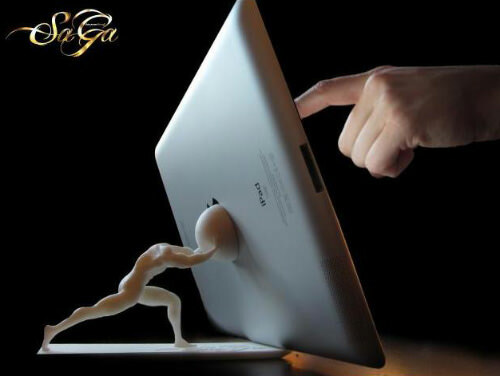 This stand is inspired by a Finnish concept of determination; the little muscular ‘man’ holding up the iPad is pretty hard to miss. This is definitely a work of art which you can purchase at a price of $161. It might seem pricey for an over-glorified smartphone or tablet stand, but it’s the hefty price you pay for any kind of beautiful art. Android enthusiasts would love an Android figurine to display on their desks, but what’s awesome about these 3D printed ones is that they have custom themes to describe your personality. 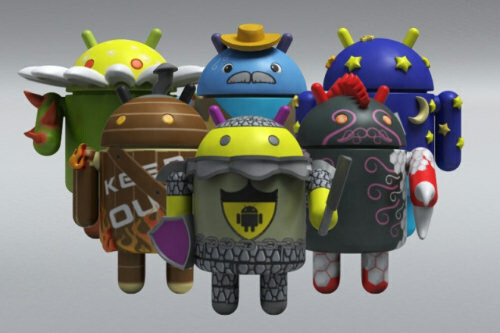 There are 25 designs to choose from for a price of $21.99; if you don’t find something that describes you, there is the option to customize your own Bugdroid at a starting price of $29.99. 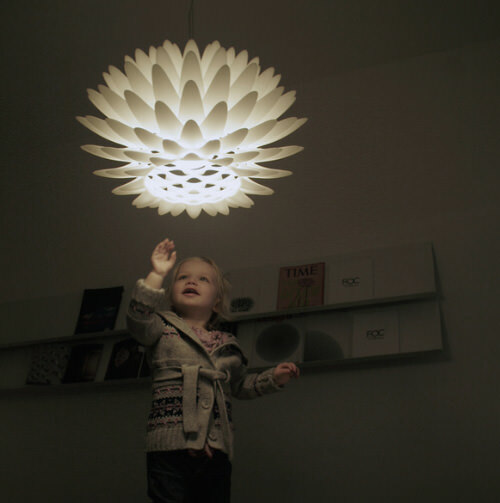 From the same person who created the iPhone 5 case above, here is the Palm Lamp. Janne Kyttanen created this eye-catching work of art which comes in a variety of sizes. Use it as part of your decor, as a standing lamp, a table or ceiling light fixture. Here is a two-piece 3D-printed clock, which comes in two parts, Part A and Part B. The clock is split into 2 ‘faces’, the purple numbered face and the design face behind it. 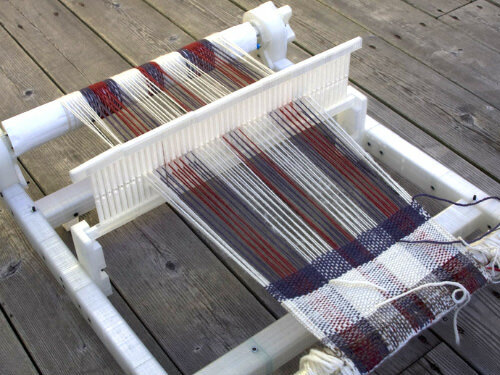 With a few instructions, you can put the two together and have it up and running in no time. 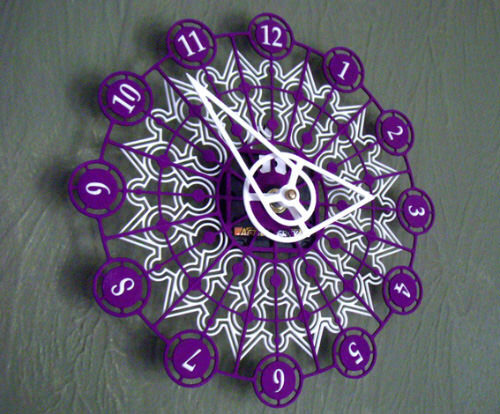 The white Kaleidoscope Clock kit is available for a total of $51 or a black one for $61. 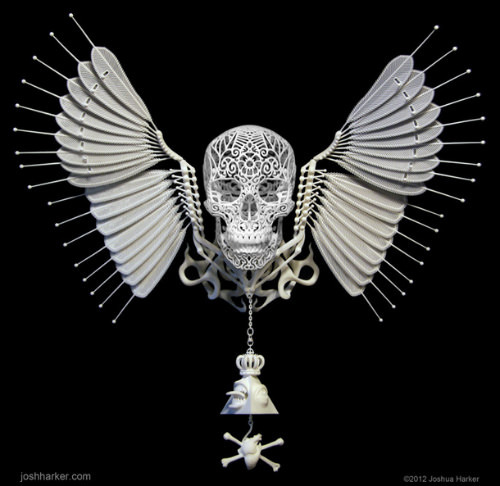 This work of art is the creation of one of the most recognized 3D printing designer Joshua Harker. 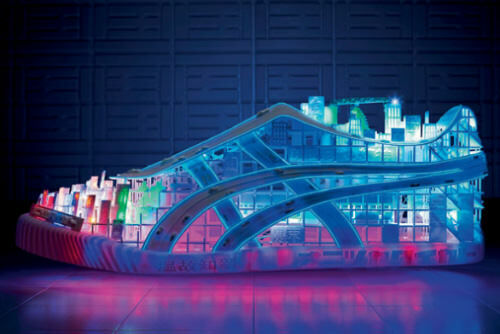 It’s printed with polyamide, a combination of nylon and glass fused together with a laser. 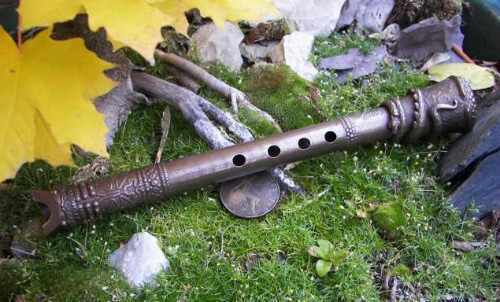 Check the link out for more close-up photos of this fascinating and intricate creation. These are espresso coffee cups printed out of Glazed Ceramics. 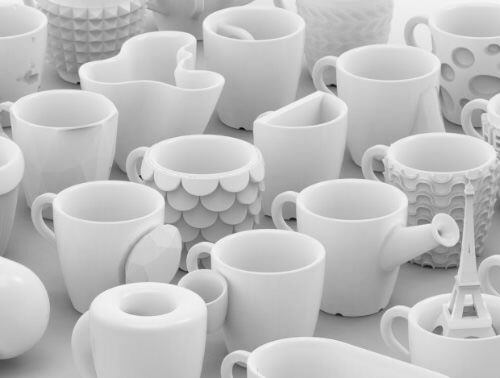 The printing process takes almost a full day, and the One Cup a Day project aims to design and create 30 unique cups in 30 days. You can purchase their creations from this website where prices range from $36 to $77. This pair of 3D printed high heels called Morphogenesis was designed by Pauline Van Dongen and made out of laser sintered nylon. She collaborated with Freedom Of Creation on the design which won a ‘Most Creative Collection’ award at the Mittelmoda 2010 event. 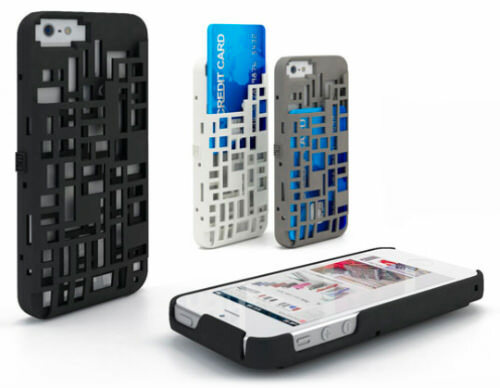 It comes in different colors and truly defines the future of 3D printed accessories. Designer Jiri Evenhuise worked together with Janne Kyttanen to make the needle and thread obsolete by using a software that collects a person’s body data to instantly create perfect fitting clothing. This type of technology is recyclable, requires less labor, shortens production time and ultimately lowers the carbon footprint for a greener way to create clothing. Plus, you can be sure that clothing you buy online can fit you like a glove. 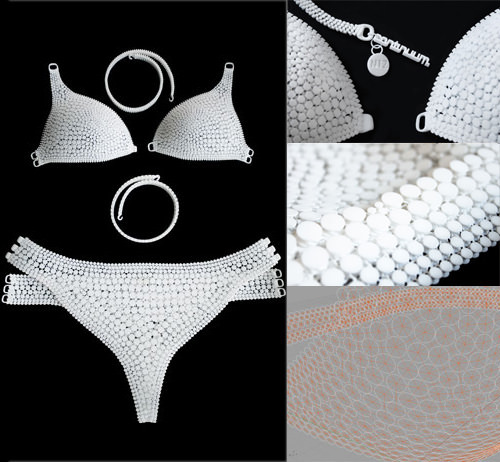 This high-tech bikini is made from Nylon 12, a strong, flexible and 0.7 mm thin material that is waterproof. Because of this, the creators said it’s ideal for swimwear and actually becomes more comfortable when exposed to water. 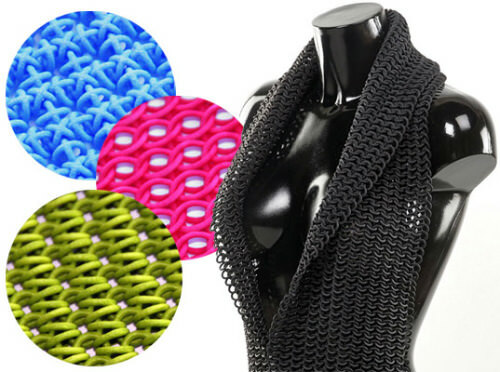 This futuristic 3D clothing costs $200-300 and can be ordered from this website.